Here are some basic core exercises that can get you on your way to improving your overall core strength. Perform each exercise in order and the goal is to reach and surpass the amount of time listed for each core exercise. You can perform this routine every other day if you would like for quicker results. 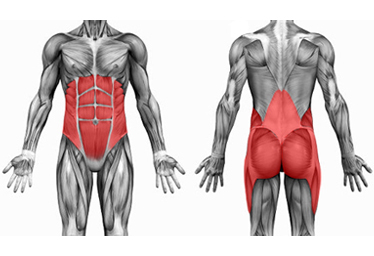 Once you have reached the minimums you will be considered as having "good" core strength. Do not worry if you can not execute the times fully on your first attempt, it is something that you can work up too, just try and beat your previous time every time you go through this routine.